One of the best and brightest reds. 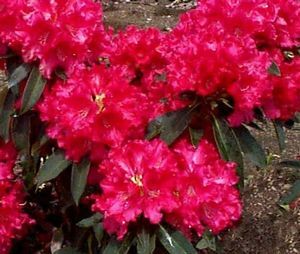 Blooms profusely at a very young age. Compact, spreading bush with dense sun-tolerant foliage.